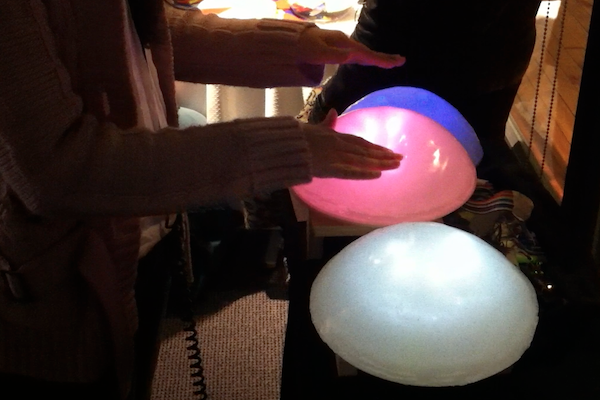 A musical instrument in the form of Jellyfish blobs. Activating the force sensors underneath each module triggers music, and applying various levels of pressure to the different quadrants causes changes in phase, tempo, pitch and triggers effects such as reverb and delay. 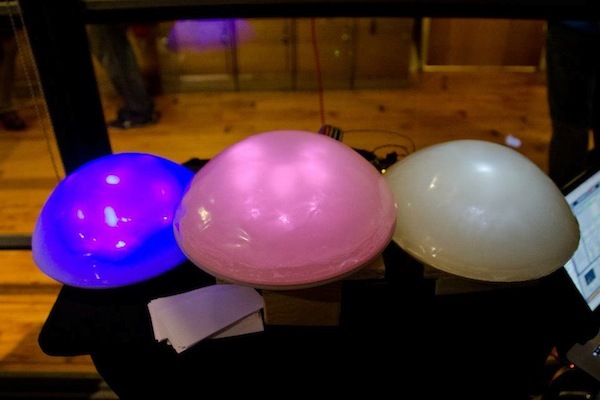 Upon triggering sounds, an analog color organ filters the audio signal into different frequency ranges and delivers it to the appropriate channel: pink lights for high frequencies, blue for low, and white for mid-range frequencies. The result is an actively participatory experience, where touch triggers and modulates sound, and changes in sound affect changes in light intensity.